Looking at these primary results, it’s clear that voters are increasingly dissatisfied with Republican leadership, and they are ready to do something about it. 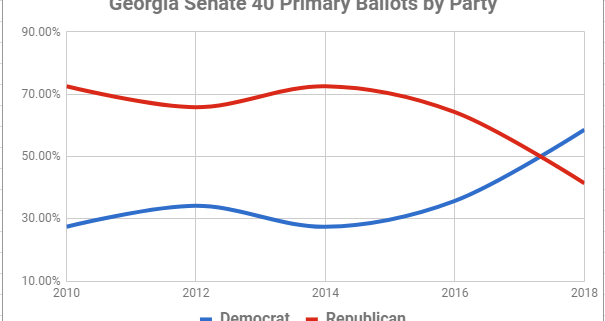 In the May primary, Democratic statewide turnout doubled from the last midterm. 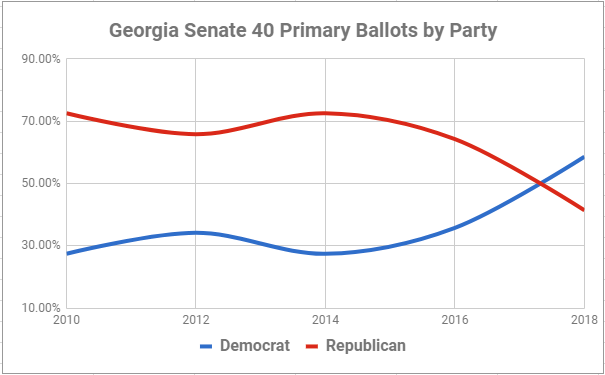 But here in Senate 40, we more than tripled the Democratic turnout. We have shown that our plan and approach works, and we can deliver the votes. 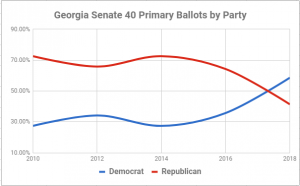 We have also shown without a doubt that this district should have a Democrat Senator and that it can be won — if we can get our message out to enough voters. The June 30th Campaign Finance deadline is around the corner and sets the tone for November’s general election. We need 500 people to give an average of $100 each so we get our message to 50,000 voters. Or give less and check the “recurring donation” box. We need everyone to be part of the solution! Take action today to ensure that we change the players at the Gold Dome. It’s the only way we can change the policies. Please click “Donate” at http://sallyharrell.org and make your $100 contribution today.